Connection: Ralph Murphy (Wallaceburg) joins the group Harper and Rowe. Album Notes: Ralph takes on the name ‘Harper’ along with credits for song writing & production on this album. * 1967 – Ralph also writes the single ‘Beyond The Shadow Of A Doubt‘ performed by Billy Fury. Video here. * 1967 – Ralph wrote ‘Along Came pride’ released by Donnie Elbert on CBS. Preview or buy the Album: here. Produced by Cori Bishop & John Swinnerton at Sonic Sojourns, Ashland, Oregon. The Holy Grail. That’s how Andrew Rieger of Elf Power described the moment in 1999 when he first listened to Elyse’s long forgotten 1968 self-titled release. 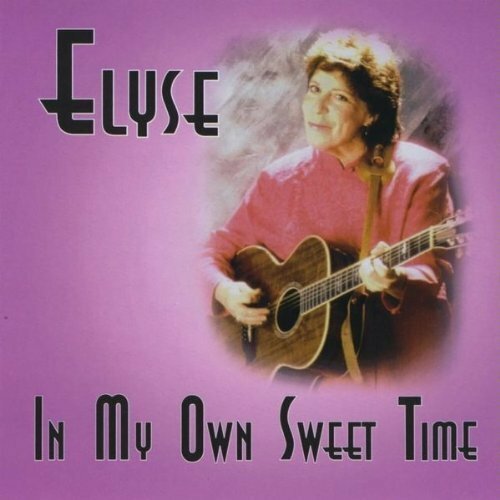 Back in the late ’60’s, the album received quite a bit of attention – so much so that Elyse appeared on Johnny Carson’s Tonight Show, in Newsweek and the L.A. Free Press, and at Shaffer Music Festival in NYC. She continued to write and record for Asylum Records. Cut to 30 years later when Rieger fell so much in love with her debut album that he contacted Elyse (now going by the name Cori Bishop and living in Ashland, Ore.). The rest is history – Orange Twin rereleased the self-titled debut, along with two other of her songs from that era, one of which, “Houses,” features Neil Young wielding his distinctively ripping guitar sound. Since, Elyse’s story has become something of a rock legend – after the rerelease her album received massive amount of positive feedback in the press, and she was mentioned in Magnet, Time Out NY, Aquarium Drunkard, Creative Loafing (amongst others). Perhaps the most flattering result was two extremely successful indie bands, Vetiver and Dinosaur Jr. decided to cover “Houses” in the aftermath of the release. Notes: This record was re-issued in 2001. 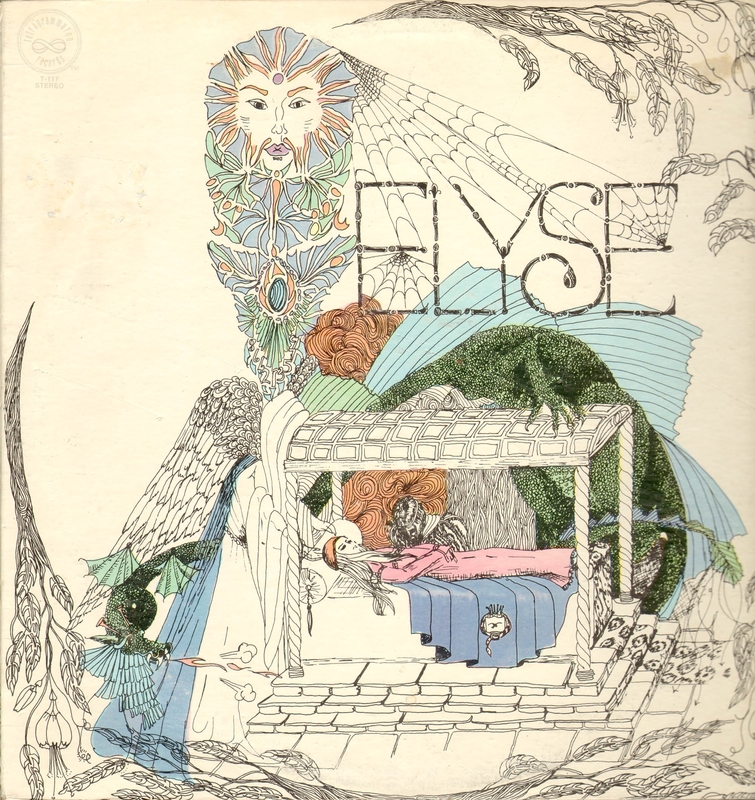 “Elyse” actually received much critical acclaim, and while not a commercial hit, the record sold fairly well, even prompting an appearance on Johnny Carson’s “Tonight Show”. Two more albums were recorded but never released. Included on the 2001 re-issue of this album, are two songs from this era, one of which, “Houses”, features Neil Young wielding his distinctively ripping guitar sound. 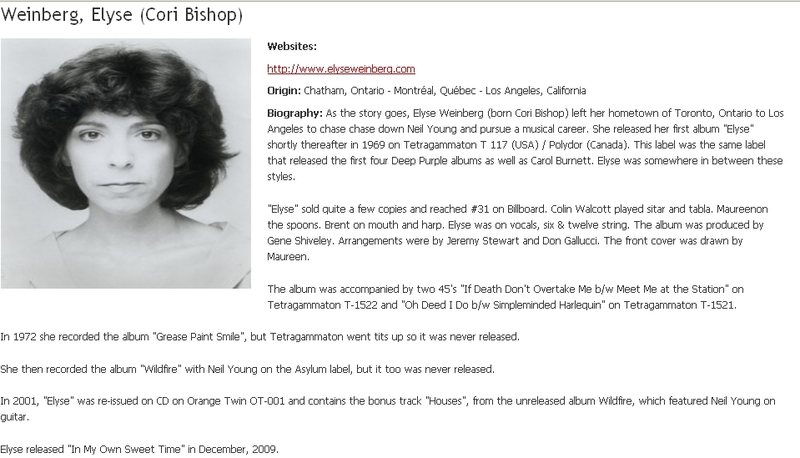 Elyse got her start performing in Toronto alongside friends like Neil Young and Joni Mitchell. She later moved to Los Angeles where she recorded “Elyse”, and has since lived in London, New Mexico, and Ashland, Oregon where she currently lives. She still writes and plans to record an album of new material in the near future. 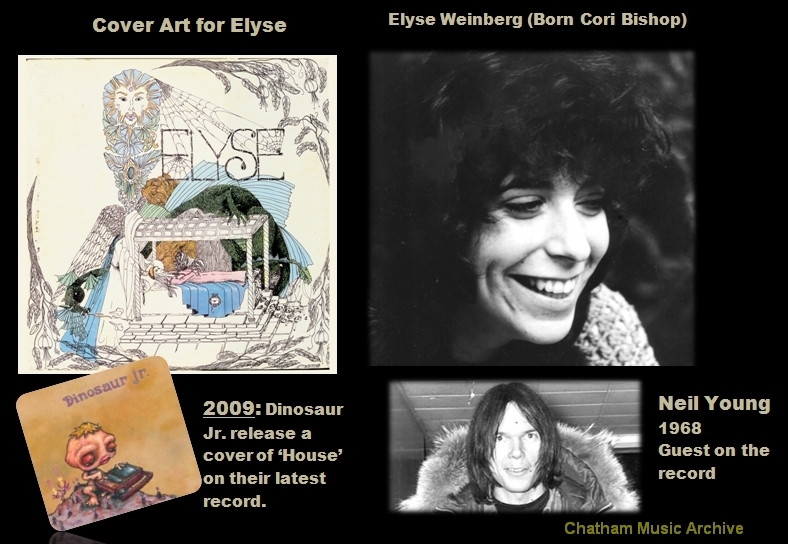 Since, Elyse’s story has become something of a rock legend – after the rerelease her album received massive amount of positive feedback in the press, and she was mentioned in Magnet, Time Out NY, Aquarium Drunkard, Creative Loafing (amongst others). Perhaps the most flattering result was two extremely successful indie bands, Vetiver and Dinosaur Jr. decided to cover “Houses” in the aftermath of the re-release. Notes: Cher recorded the song “Band of Thieves” without giving credit to Elyse. She remembers going to the movies with her friends to see Cher’s movie and to hear Cher’s version of her song “Band of Thieves”. When the credits came on it said all music by Sonny Bono, She was shocked. * Watch the preview of this album below. Notes: This is a reissue of this 1968 psychedelic classic. 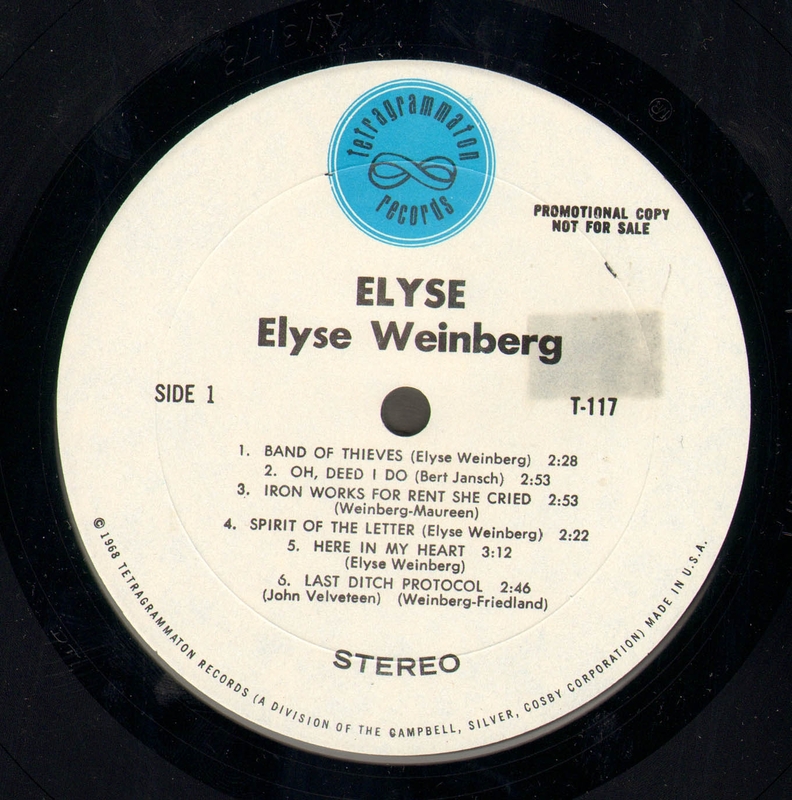 “Elyse” actually received much critical acclaim, and while not a commercial hit, the record sold fairly well, even prompting an appearance on Johnny Carson’s “Tonight Show”. 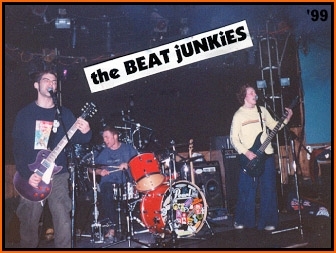 Two more albums were recorded but never released. 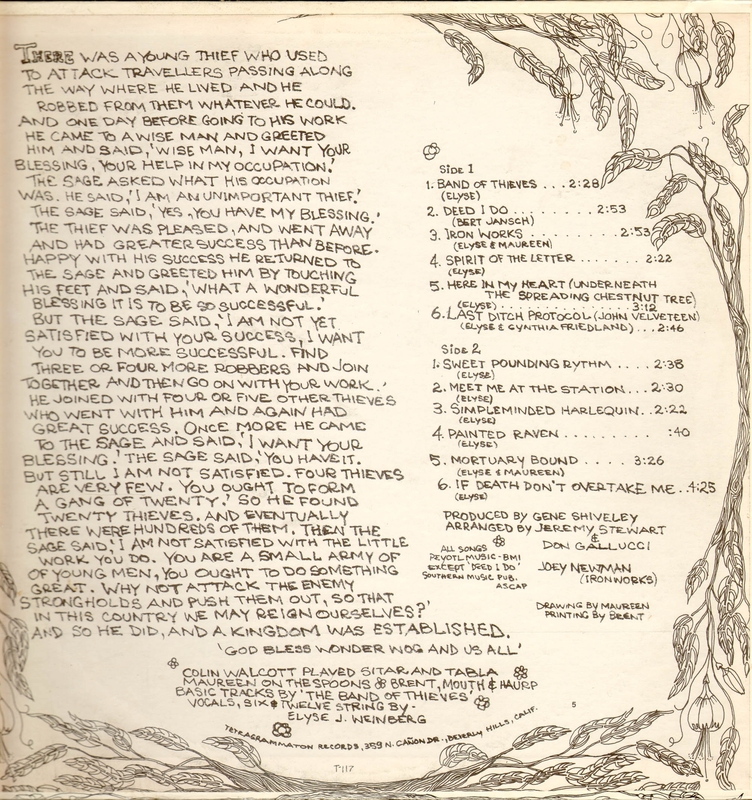 Included on this CD reissue are two songs from this era, one of which, “Houses”, features Neil Young wielding his distinctively ripping guitar sound. Elyse got her start performing in Toronto alongside friends like Neil Young and Joni Mitchell. She later moved to LA where she recorded “Elyse”, and has since lived in London, New Mexico, and Ashland, Oregon where she currently lives. She still writes and plans to record an album of new material in the near future. Since, Elyse’s story has become something of a rock legend – after the rerelease her album received massive amount of positive feedback in the press, and she was mentioned in Magnet, Time Out NY, Aquarium Drunkard, Creative Loafing (amongst others). Perhaps the most flattering result was two extremely successful indie bands, Vetiver and Dinosaur Jr. decided to cover “Houses” in the aftermath of the re-release.